I got to interview Canadian wine maven Natalie MacLean years ago when I co-hosted San Diego Gourmet back in the day. I still enjoy learning about wines from her from her e-newsletter and website and was delighted to learn her FREE mobile app, The Natalie MacLean Wine Picks & Pairing, now lets you scan bottle labels and bar codes to get info you want at the wine shop. 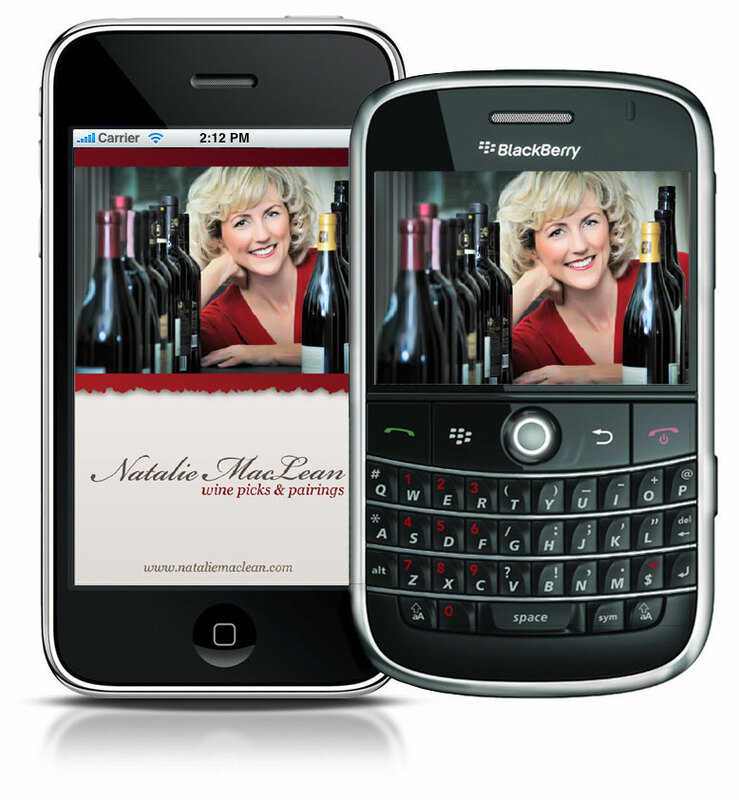 Whether you have an iPhone/iPod Touch, a BlackBerry, or Droid, you can use your camera to instantly scan from among 150,000 wines to get tasting notes, scores, and food pairings. You can also track your purchases in a virtual cellar, create a wine journal with your own wine notes and photos, and share your wines and pairings on Twitter and Facebook. Natalie is also the author of Red, White and Drunk All Over . Her second book, Unquenchable: A Tipsy Quest for the World's Best Bargain Wines will be published this fall. I also recommend you subscribe to her free e-newsletter via her website.